One of the great things about moving to a new area is getting to test out new places to eat and play. Last month we had the opportunity to visit Fat Cats to eat, bowl, and play mini golf. They also have a great arcade that is on our list to do next time. FatCats is your number one stop for great entertainment! At FatCats we have created an unique experience that will bring you back time and time again! 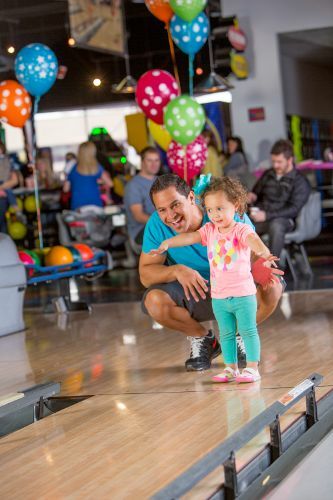 What other place can you have this much fun under one roof? At FatCats you can bowl, play mini golf and have a giant slice of Pepperoni pizza. Don’t forget that each center has a full service arcade, with some of the latest and greatest games. Visit our website to find a location Near you! No other place around is better for your event than FatCats. Whether your event is corporate, family, school or charitable, FatCats will take the work and stress from off your shoulders and make your event an experience that is sure to bring you back. Check out our website or call a location near you to book an event packages that fits your budget. Brace yourself for an experience you won’t forget! 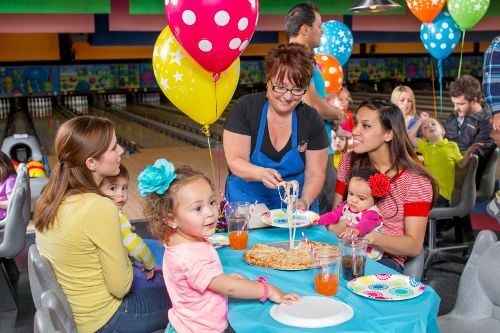 Fat Cats offers the ultimate birthday party experience for kids of all ages! Great fun and Great prices! Our party specialists will take care of everything for you. FatCats is the nation’s number one party destination with exciting activities. Don’t wait, Sign up here today! P’Diddy’s birthday is next month and I know he would LOVE to go here! Do you have a Fat Cats near you? Click here for the Family Special coupon! I partnered with US Family Guide and Fat Cats for a night of family fun. Shutterfly is getting ready for Halloween with super cute features! If you’re looking for Halloween inspiration, check out our Storytelling tab! They offer SO MUCH from photography tips to design ideas. They are all super cute!! Halloween Riddle Reveal Plates: Kids will eat their veggies to learn the answer! Tips for Taking Pictures at the Pumpkin Patch: A few fun ways to capture the outing. Top 10 Halloween Photos to Take: Don’t miss any big or little moments on the Night of Fright! For you pet lovers, there is a section you can put your photos in a Disney’s Frankenweenie app and create a slide show. hee hee. Made me giggle. I know the kids will have FuN with that! Have a Happy Halloween! Don’t forget to preserve those memories!